We came across this beautiful article in today’s economic times dated 25.01.2017 and we thought it will be worthy to share with you all. 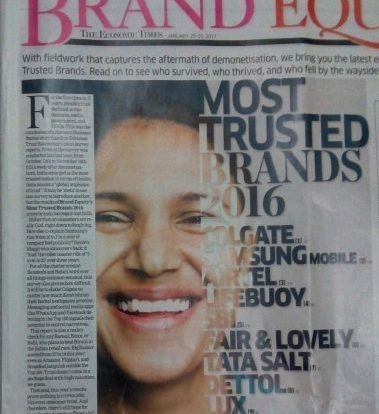 Article and Images source is Brand Equity of Economics Times. Though now a days, swadeshi is at the peak, no ‘dant magan’ (herbals) was able to replace the Colgate. 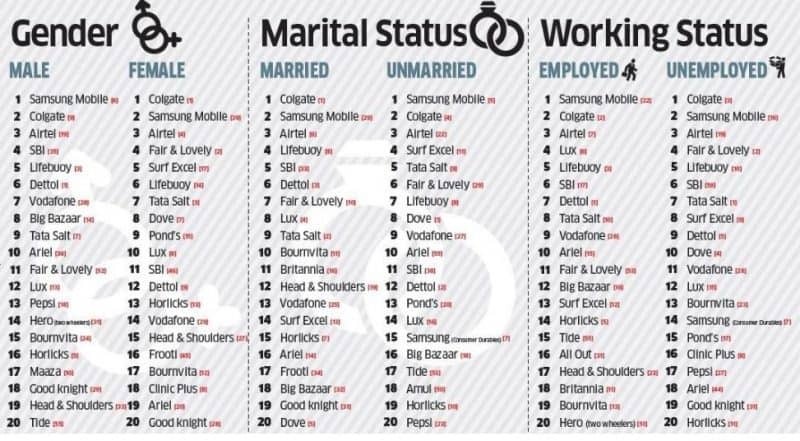 Colgate managed to be at the top of the list. Further, the result of this survey proves that the brands are regaining their faith. Survey was conducted fromOctober 13th to November 16th 2016. 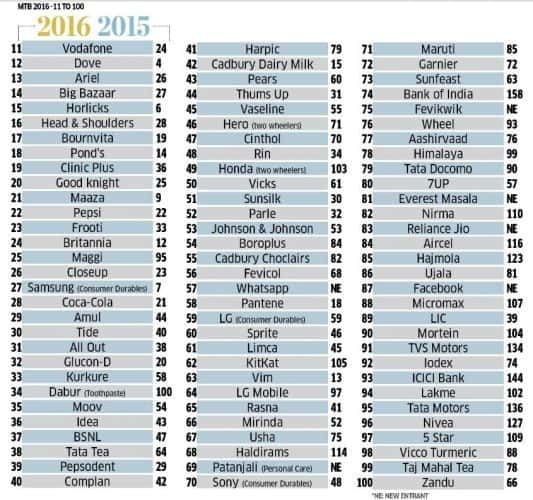 Total 372 brands were considered as part of this year’s survey. Low performing brands of 2015 were out of perview this time and some new brands of social media and online store are taken in to consideration for this time. A total of 6,595 respondents were surveyed across the India.